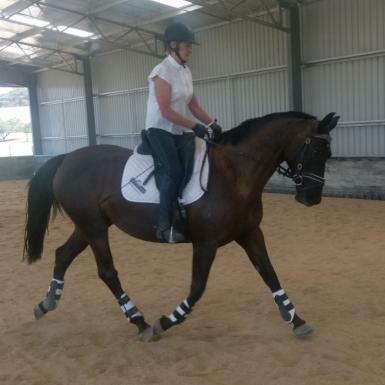 Fairview Double Delight – black 4yo mare by the well renowned stallion 00 seven out of Harvest Oracle. 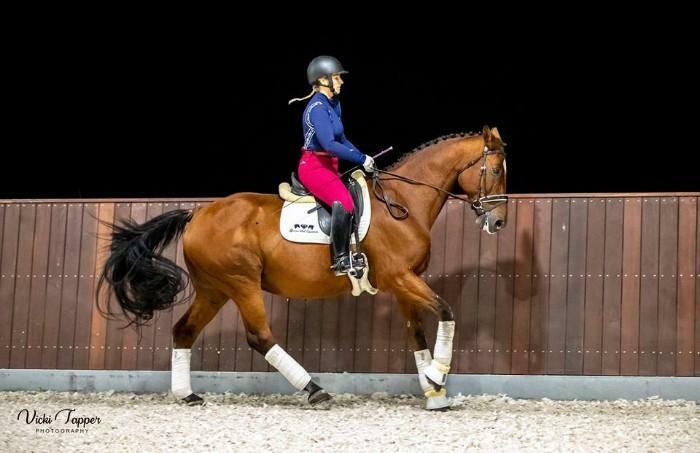 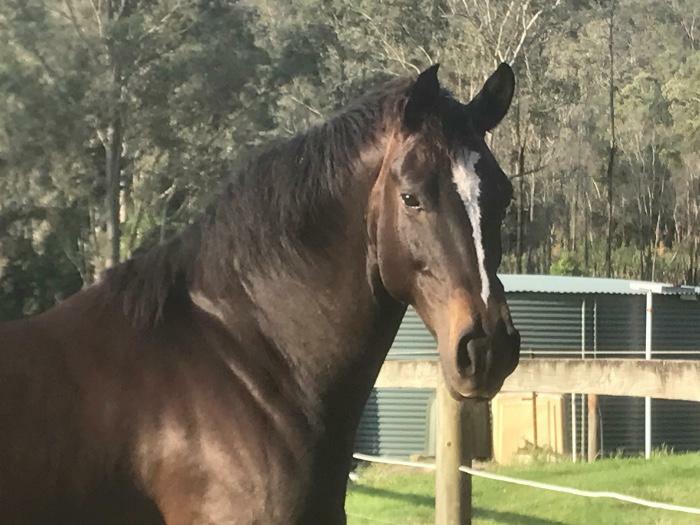 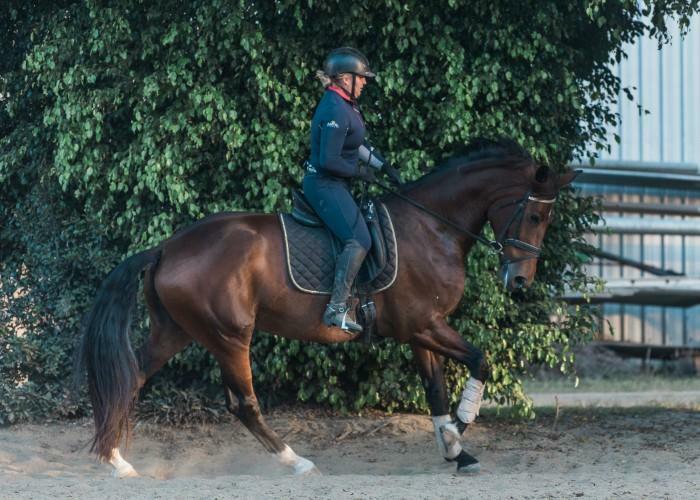 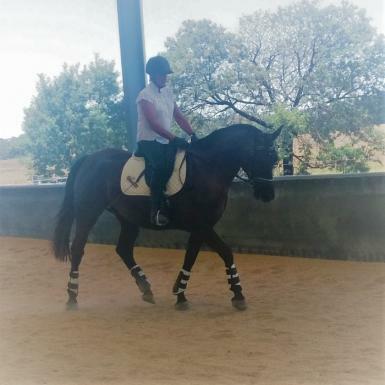 DD is a sweet little mare with super breeding, she was broken in at the end of last year and is coming along well with her training and has just recently had her first outing scoring a respectable 66.5% in her first dressage test. 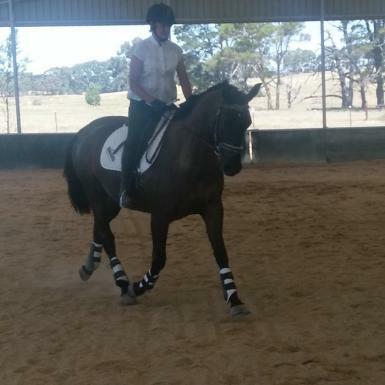 She has 3 nice paces, good conformation and has a very sweet and trainable nature. 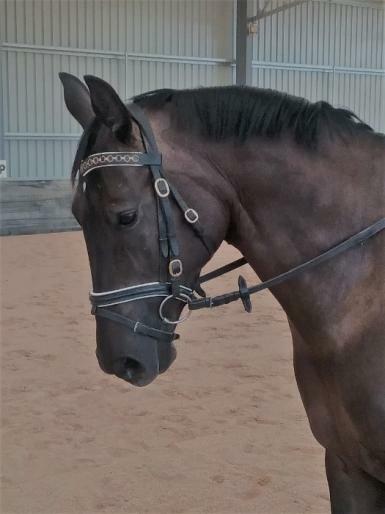 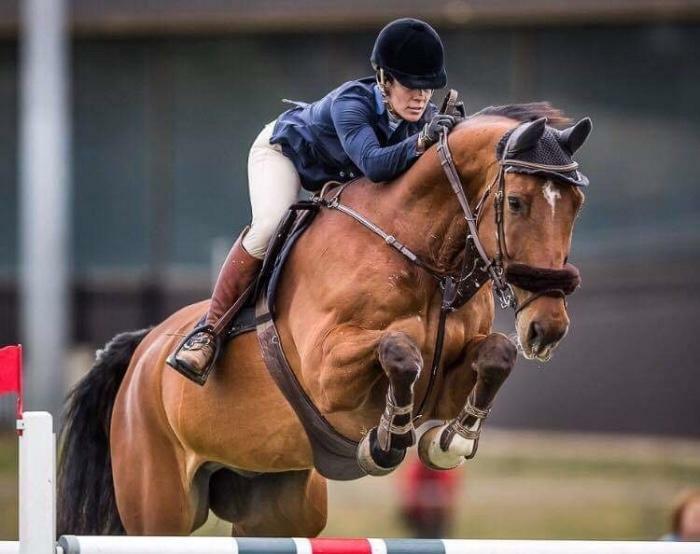 She would suit a young rider or smaller lady that is looking for a nice horse to bring along and have loads of fun with, given her breeding she would also double as a valuable brood mare in the future. 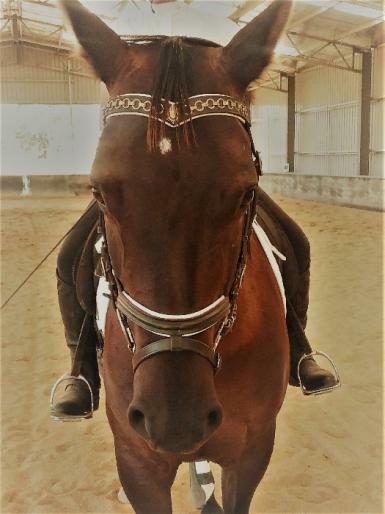 DD did suffer an injury to her face as a weanling that has left a blemish on the left side of her face but it in no way effects her performance or her well being and when under saddle is barely noticeable. 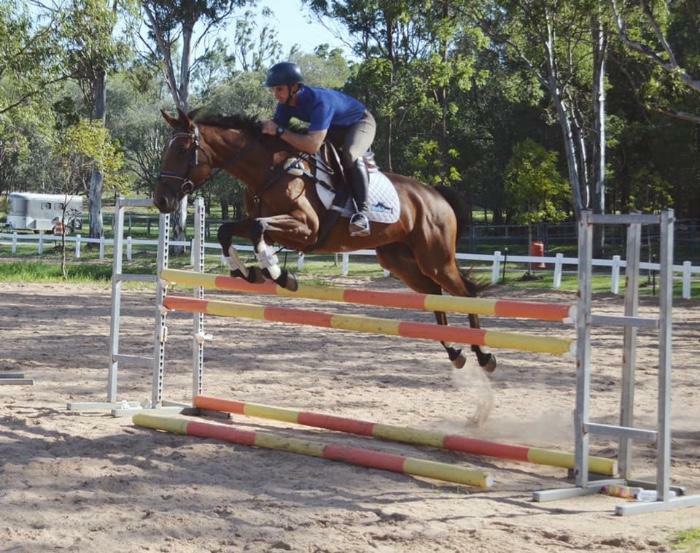 However for this reason I am offering her for sale for a reduced price. 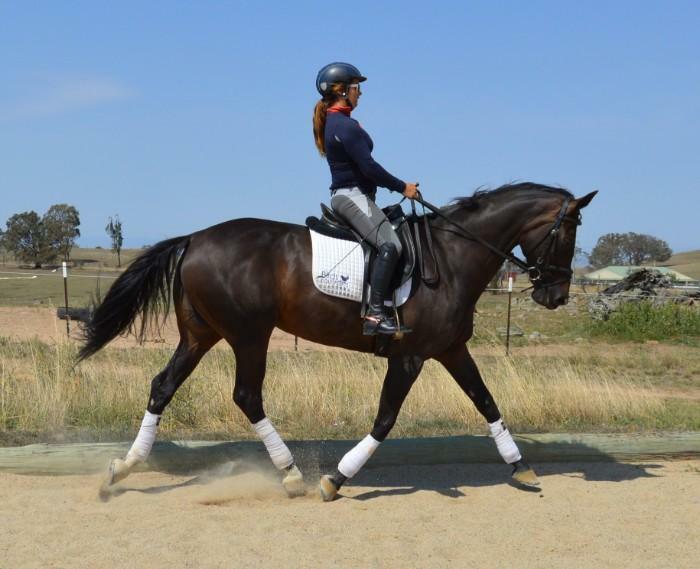 Don’t miss the opportunity to purchase a beautiful young horse for a bargain price. 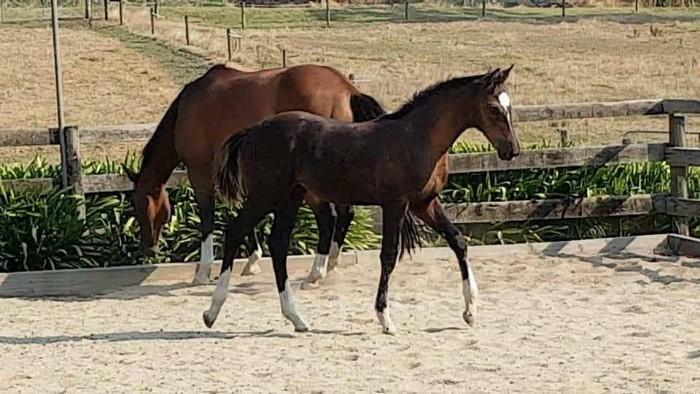 For more pics and video of this lovely young mare as well as other young stock available visit our facebook page at “Fairview Equestrian Park” or view on youtube.